Did you know that LASIK surgery is one of the most performed surgeries? LASIK is a type of laser eye surgery that corrects vision. This is accomplished by creating a flap in the cornea. After the flap creation, an excimer laser reshapes the cornea. It sounds pretty complicated, but the entire process only takes about 15 minutes per eye! Most patients are usually back at work within a few days. LASIK has transformed the lives of thousands of patients! They’ve said goodbye to their dependence on glasses and contacts. Many patients have gone on to achieve 20/20 vision, or better after their eyes have fully healed. Sounds pretty easy, right? And it is, but not for those dealing with three common LASIK surgery fears. Keep reading to learn why these fears aren’t so bad! The average cost of LASIK per eye is about $2,000. Because LASIK is an elective procedure, most insurance companies will not cover it. It never hurts to check! There are a few that do cover a part of LASIK cost. LASIK cost depends on a few factors including severity of refractive errors. Another factor is the kind of LASIK procedure. At Minnesota Eye Consultants, we are proud to offer iLASIK, which is the best LASIK available. iLASIK is a bladeless procedure, meaning there are no blades involved. iLASIK is a premium procedure. When you get LASIK, the cost includes the consultation and all post-operative visits. If you’re nervous about paying for LASIK upfront, don’t be! There are a variety of financing and payment options to tackle your LASIK cost, one payment at a time. Bonus fact? Getting LASIK will actually save you money in the long run. Think about how much you pay every year for glasses and contacts, as well as accessories. It adds up quickly! After several years, the cost of LASIK pays for itself. We know. The idea of having a laser beamed into your eyeball isn’t appealing. It sounds even worse that you’re awake when it’s done! But the truth is that there’s no reason to fear being awake during LASIK. Why is this? Simple! Numbing eye drops and a mild sedative, that’s why. 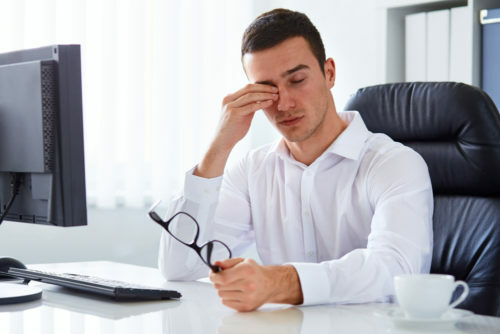 You may experience mild pressure or dimmed vision during the 15 minutes it takes for each eye, but that’s about it. Worried you’ll blink during the procedure and end up blind? We’ve got that covered as well! There are special instruments that we use to make sure your eyes are exactly where they need to be. Fear #3: What About Complications? It’s natural to worry about complications before your LASIK surgery. It is, after all, surgery. LASIK has a 96% success rate with patients. It’s also known as a safe and effective procedure for patients. One of the best ways to avoid complications is to choose a skilled LASIK surgeon. After the procedure, follow all instructions and keep your eyes safe! Before you know it, you’ll have clearer vision and a new perspective on the world around you. Ready to take a leap of faith? Schedule your LASIK consultation at Minnesota Eye Consultants today!